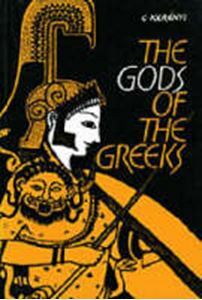 Quick overview Drawing on a wealth of sources, from Hesiod to Pausanias and from the Orphic Hymns to Proclus, Professor Kerenyi provides a clear and scholarly exposition of all the most important Greek myths. After a brief introduction, the complex genealogies of the gods lead him from the begettings of the Titans and from Aphrodite under all her titles and aspects, to Apollo, Hermes and the reign of Zeus, touching upon the Affairs of Pan, nymphs, satyrs, cosmogonies and the birth of mankind, until he reaches the ineffable mystery of Dionysos. The lively and highly readable narrative is complemented by an appendix of detailed references to all the original texts and a fine selection of illustrations taken from vase paintings.